We at Georgia Mountain Falconry would like to thank Mercier Orchards for the opportunity to help in their quest to prevent damage to their hundreds of acres of delicious apples. 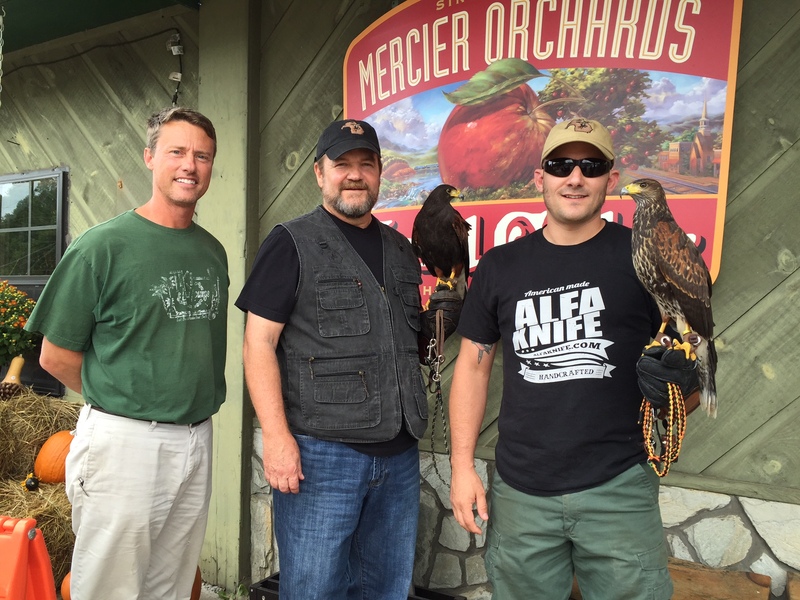 David Lillard and the entire crew at Mercier treated us like family as we utilized our birds to chase off the crows that are the primary culprits who harm their apples. This was not a decision taken lightly by the one of the top orchards in the entire U.S. Out west abatement using raptors in agricultural settings is becoming more and more common. Here in the South, however, it is new and different. GMF appreciates Mercier’s willingness to attack their crop damage with a different approach. Too, Mercier took advantage of educational opportunities that GMF offered their patrons. We enjoyed the abatement process along with chance to share falconry with many many folks. We look forward to a continuing relationship with such a quality group of people.